This module will teach you how to use Microsoft Word to create and edit documents. The links on this page will open in a new tab/window. Make use of the Format Painter. If you have formatted some text in a specific way and need to repeat it on another block of text, you can use the Format Painter feature to save time. Make use of the Ribbon to format your document. The Ribbon at the top of your document contains tabs with groups of related tools that you can use to format text, change the layout, insert images, and more. Pay attention to the Spellchecker. The red and blue underlines of the spellchecker indicate a spelling or grammar mistake. Right-click on the underlined word to view suggestions. Find where you left off. Press Shift + F5 to move the cursor to the location where it was when you last saved the document. Use keyboard shortcuts to edit your document quickly. Keyboard shortcuts can be a quicker way to interact with your document. Try to remember the shortcuts for tasks you perform often, like copying text (CTRL + C). Check out some of the online tutorials available on Lynda.com - open in a new tab for essential training in Microsoft Word. If you are attending an Ontario college, you can log in using your college credentials. 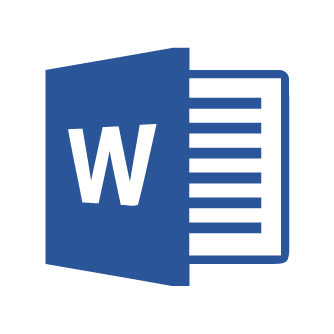 These guides are for Microsoft Word 2016, and may not be applicable for other versions of Word. For guides on other versions, see the tabs above. These guides are for Microsoft Word 2013, and may not be applicable for other versions of Word. For guides on other versions, see the tabs above. These guides are for Microsoft Word 2010, and may not be applicable for other versions of Word. For guides on other versions, see the tabs above.